If you have been arrested for unlawfully carrying a weapon or other weapons charges in Texas, make sure that you have legal counsel willing to fight to protect your Second Amendment rights. Expert Weapons Offenses Attorney Charles Johnson is a criminal defense attorney in Houston, TX who has more than two decades of experience handling these types of cases and is a strong defender of Second Amendment rights for our citizens. 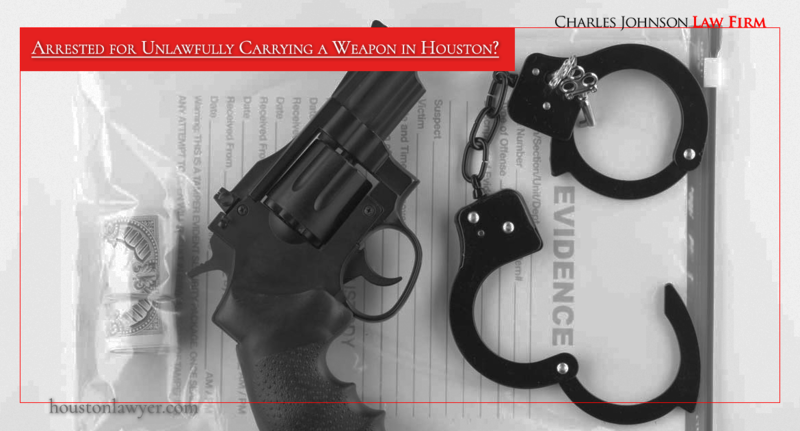 The Charles Johnson Law Firm helps alleged offenders charged with weapons or firearm crimes all over the Houston area, including locations in Harris County, Montgomery County, Brazoria County, Fort Bend County, Liberty County, Waller County, and Galveston County. Contact our firm today at (713) 222-7577 for your free case review. You will immediately speak directly with Expert Firearms Attorney Charles Johnson and he is available day or night to answer your questions. While Texas lawmakers enacted open carry legislation in 2015 that allows licensed residents of the Lone Star State to openly keep handguns other weapons openly displayed in shoulder or belt holsters, the law’s passage does not mean that people can no longer be charged with the crime of unlawful carrying weapons (UCW). Alleged offenders can still face criminal charges for the improper carrying of a handgun, illegal knife, or club. UCW charges are often classified as misdemeanors, but they may be graded as felony offenses in certain cases. This is also true for the similar crime of unlawful carrying a handgun by a license holder. With new legislation in place about Open Carry, there has been a lot of public confusion about what these new laws mean to gun owners and CHL holders. Here you will learn the basics of unlawful carrying, who is eligible to have a concealed handgun license/open carry and where guns are allowed to be carried. We have also included “3 Tips to Remember If You Are Pulled Over with a Firearm” so you can be safe and have your rights protected. The State of Texas has lenient gun laws and recently they have expanded those laws to allow some individuals the right to open carry. The old laws in place allow the purchase of a firearm without a waiting period and without any form of state registration. However, if someone purchases a gun without a CHL license they will only be allowed to possess the firearm in their home, on their property that functions as housing (like a motor home) or in their car (hidden from sight). The State of Texas Penal Code 46.02 describes exactly what it means to be unlawfully carrying a weapon. Section A: This part of the code states that you cannot knowingly carry a weapon if you are not on your “premises” (real property or a recreational vehicle that is being used as living quarters, regardless of whether that use is temporary or permanent; travel trailer, camping trailer, truck camper, motor home, and horse trailer with living quarters). And that you cannot carry a weapon unless you are directly en route (on your way) to a vehicle or water craft that you own. (a-1) This section states that an offense is committed if you carry a weapon on your person, in your vehicle or watercraft (any boat, motorboat, vessel, or personal watercraft, other than a seaplane on water, used or capable of being used for transportation on water) that is in “plain view” unless you have a CHL license, which would require the weapon to be in a holster or shoulder belt. This means you cannot have a weapon out in the open (it must be hidden from plain sight) in your vehicle or boat unless you are licensed to carry. An offense under this section of the code is a Class A misdemeanor – This includes unlawful carrying of a weapon without a license outside of premises that you own. An offense under this section becomes a 3rd degree felony if the offense is committed on any premises licensed or issued a permit by this state (TABC) for the sale of alcoholic beverages. A CHL is a concealed handgun license and allows individuals the right to carry their guns concealed on their person. Recently, the new Open Carry law allows for these licensed individuals the ability to openly carry their handguns. Previously, the open carry of handguns was not allowed in the State of Texas; only rifles/shotguns were allowed to be publicly carried in a holster and in a non-threatening way. With the new Open Carry Laws, those with a Concealed Handgun License can now openly carry their handgun concealed or secured in an outside holster that protects the gun from being discharged unintentionally. Who is qualified to purchase a firearm? To purchase a gun in Texas, you must be a resident and have a state issued ID card or Driver’s License. Convicted Felons have forfeited their right to own a firearm. Period. You must be a resident of the State of Texas for at least 6 months. You cannot have a felony conviction on your record. You must wait 5 years after the conviction of a Class A or B Misdemeanor before you are eligible. You must be up to date on all child support payments. Cannot be a fugitive from justice for a felony or misdemeanor. Have no outstanding debts to the State of Texas. Cannot be under the influence of drugs. Cannot have any pleas of Not Guilty for Reason of Insanity. Not have a psychiatric condition that requires continuous treatment. Must be able to comprehend gun laws and regulations. Texas allows individuals to own NFA restricted weapons including machine guns, automatic weapons, short barreled shotguns and silencers but they must be REGISTERED through the NFA registry. Firearms are allowed to protect property that you own (like a house or car) but cannot be discharged recklessly. Only in times of self-defense are firearms allowed to be discharged and fired only when they are not endangering other third parties (like children or the general public). 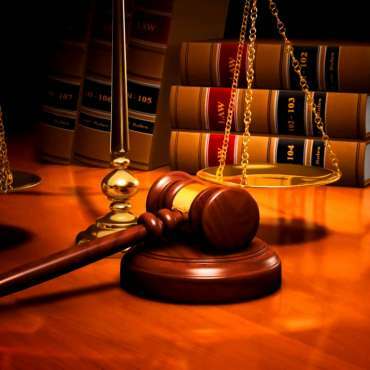 “Defense” includes when an individual is trying to enter your property or vehicle unlawfully and with force – and/or the individuals are attempting to commit a crime (kidnapping, murder, assault or robbery) on your property. Firearms in households must also be put up and away to prevent easy access to children. To have a loaded gun within reach of a child or to have a child harmed from an accidental discharge can be punishable by a Misdemeanor A, B, or C dependent on the damage inflicted. You must also have your CHL on you and be ready to present it if asked by a police officer or judge. Private businesses do not have to allow open carry and usually have proper signage that states a CHL holder is not allowed to Open Carry. Even if a sign isn’t present and you have a CHL, if a proprietor asks you to leave their place of business or conceal your firearm, you must do so. In light of recent events, it is important to know what to do if you are pulled over and have a concealed weapon on you or in your vehicle. Roll down your window, turn on an interior light (if it’s dark) then return your hands to the steering wheel. Tell the officer that you have a concealed carry permit and have one on your person. Avoid the use of the word “GUN” – if you have a weapon in your car, tell the officer where it is located, for example: “I am a legal carrier and have a concealed weapon in the glovebox”. Before reaching for your wallet to retrieve your ID or CHL, tell the officer where the firearm is located, for example: “I have it located on my right hip, my wallet with my ID and license is in my left pocket”. That way the officer knows that if you are reaching toward your left side, the firearm is located on the right. If the weapon is located in the glovebox with your insurance or license, it is best to let the officer know that and ask them what they would like you to do next. In Texas, the law states you MUST tell the officer that you have a firearm or concealed weapon when they ask you for identification. Anybody who has been charged with unlawfully carrying a handgun or other weapon in Harris County or any surrounding area of Texas, it is important to understand that there often numerous defenses available in these cases. Every case is different, so it is wise to have an experienced lawyer review the unique circumstances surrounding your own arrest and evaluate which claims would be most beneficial for you. Nothing unlawful about alleged weapon. This post is simply a brief overview, if you have questions about gun laws in Texas be sure to check the Texas Department of Safety website or contact Houston Weapons Lawyer Charles Johnson directly 24/7 at (713) 222-7577. 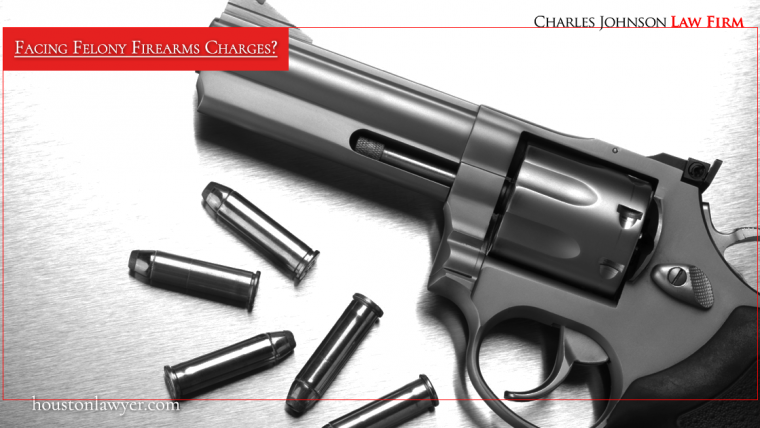 If you are a CHL holder or legally possess a firearm, be sure to save the Charles Johnson Law Firm number in your phone (713-222-7577) in case of an emergency or in the unfortunate event that you are pulled over with your firearm. You have legal rights to own and operate a firearm in the State of Texas and Houston Weapons Offenses Expert Attorney Charles Johnson will make sure that your rights are protected.